This piece was made for someone whose job involved working in Zambia with many orphans. 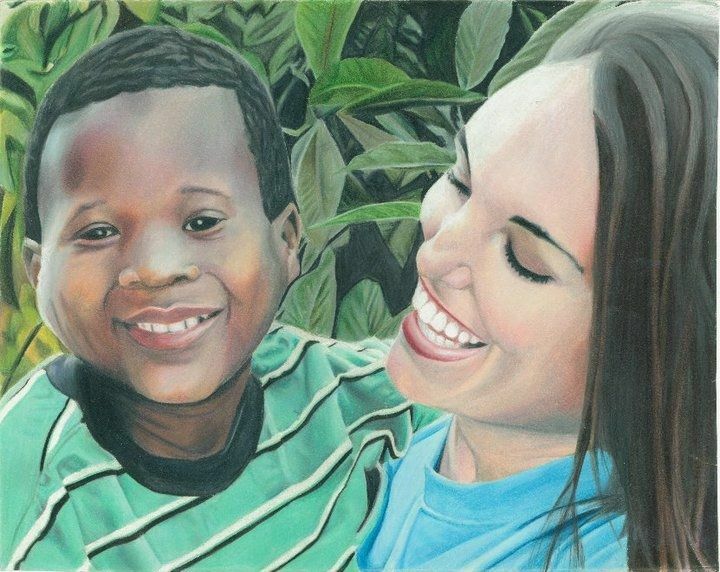 She commissioned this work for a thank you card that she sent to many of her supports. This picture represents a special story between her and the little boy that she was able to share with her friends & supports. This piece is a 11x14 done in Prisma Colored Pencils.